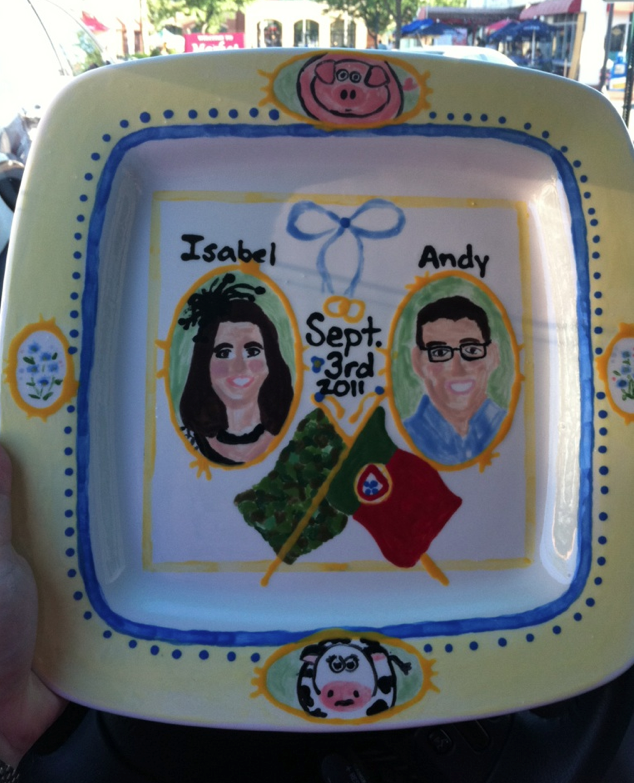 Paint Your Own Pottery ~ Learn, Live, and Explore! 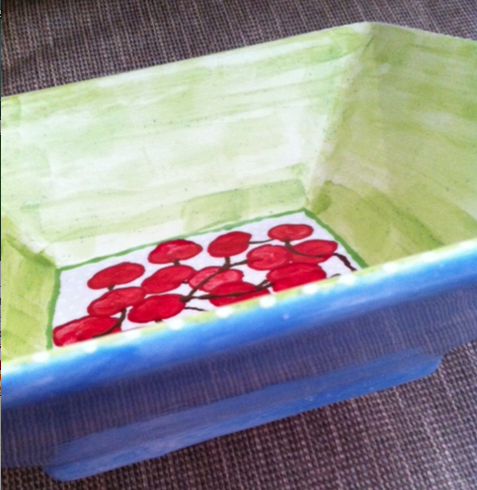 It seems like pottery painting studios are popping up everywhere, and I'm happy they are because they've turned out to be a very enjoyable way for me to get rid of a little excess creative energy on the weekend. 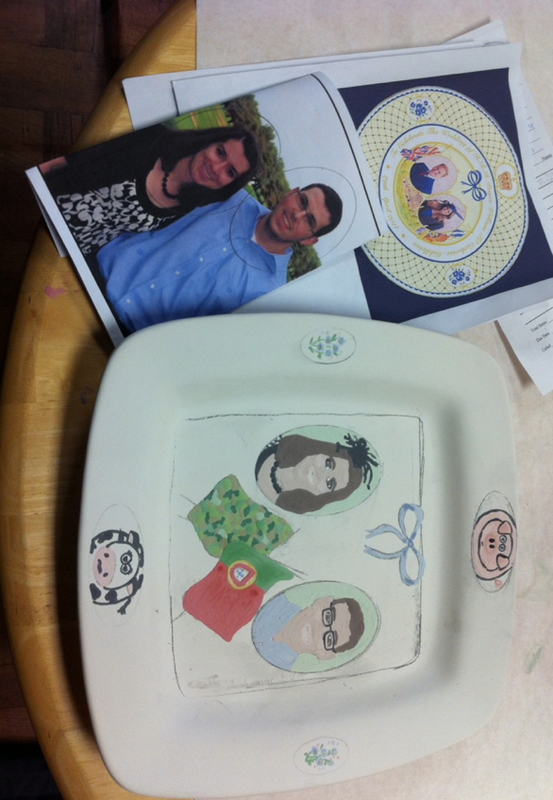 Recently, I met my friend in Annapolis at the Clay Bakers to design and paint a new ceramic bowl. 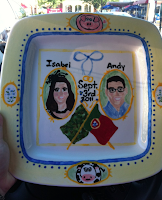 I've also painted at Color Me Mine (created a fantastic platter for my friend's wedding, in the style of the Will & Kate royal wedding commemorative plate - as a joke) and plan on going to the Paint This! store in Old Town Alexandria. 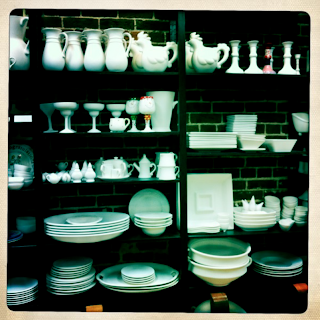 For me, painting pottery is fun, and I strongly believe anyone can do it! It's also a great excuse to get together with friends for an afternoon. I think the hardest part, for me or for anyone, is to just come up with the design. I was lucky this time because my inspiration was a bowl my mom received as a gift a few years ago. 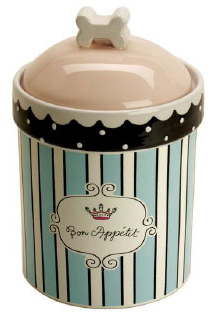 It was really cute with little cherries on the inside. 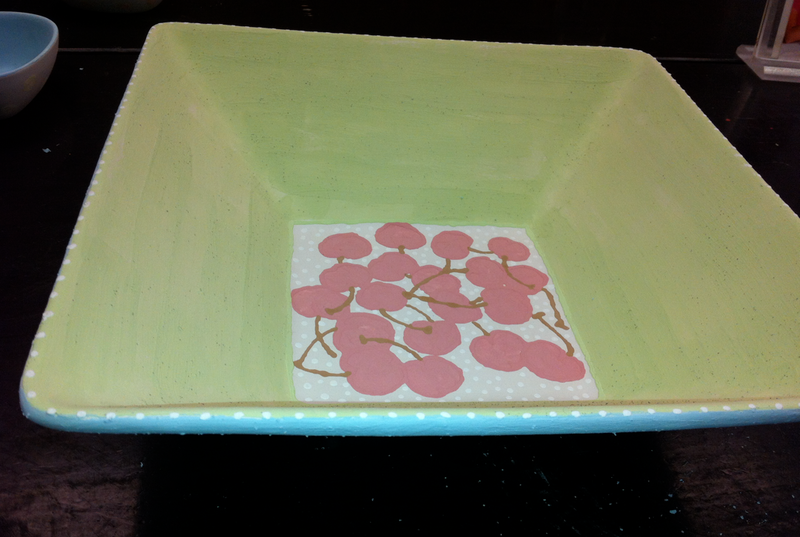 I returned to the store in Annapolis where the bowl was purchased, only to find the design was discontinued. 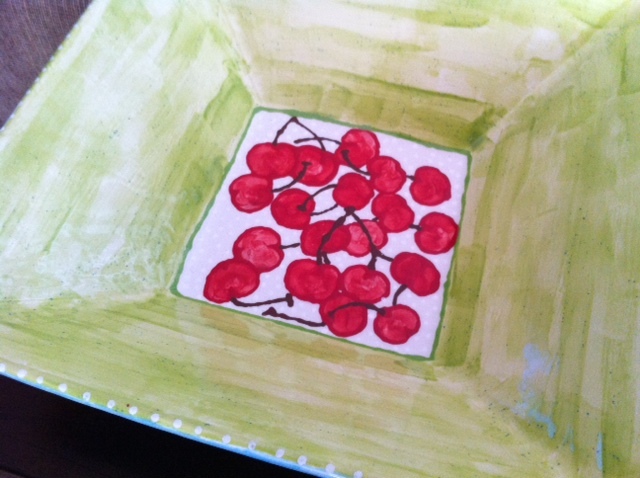 This actually turned out to be a good thing because I could easily recreate the cherries on the bottom of the inside of the bowl, and now I had the opportunity to make sure the colors used in the design matched the colors in my kitchen! Win win! AFTER FIRING - A Bowl of Cherries!